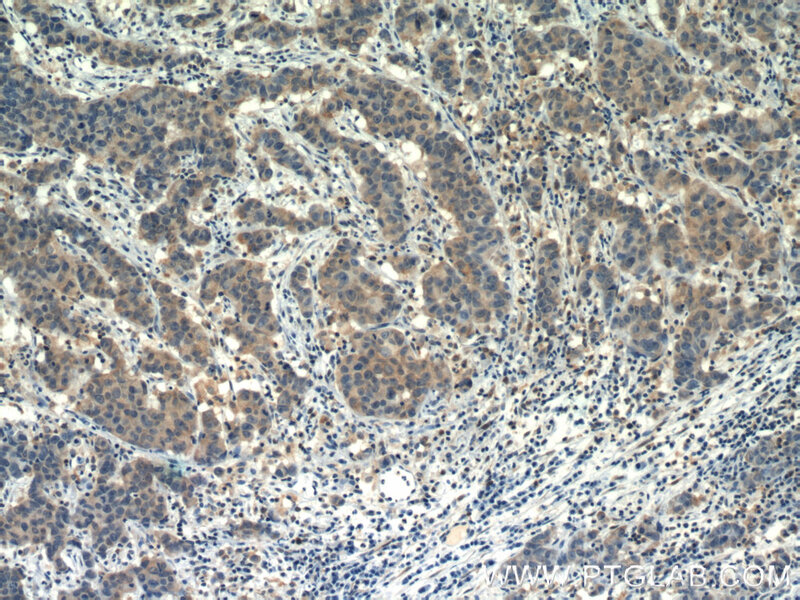 PTEN (also designated MMAC1), products of tumor suppressor genes, are found deleted in most human gliomas. 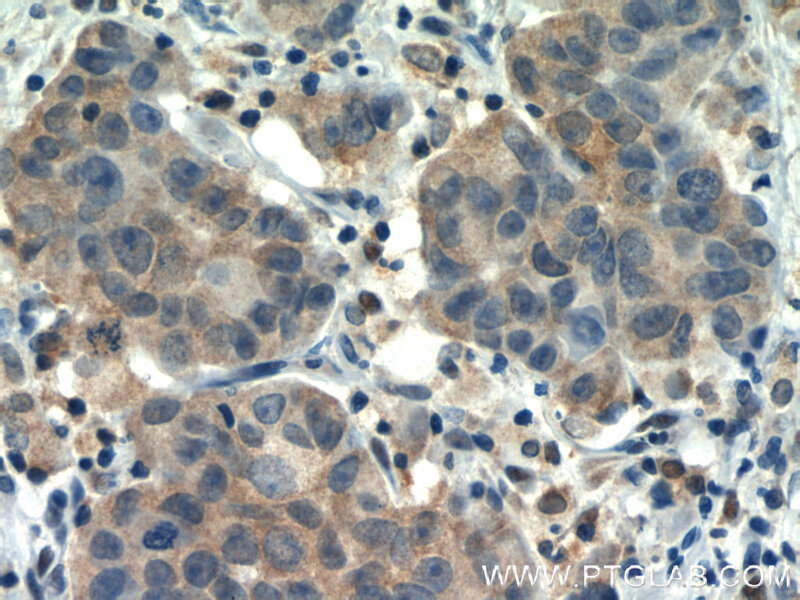 The PTEN genes are also mutated in many other tumors, such as brain, breast, kidney and prostate cancers. 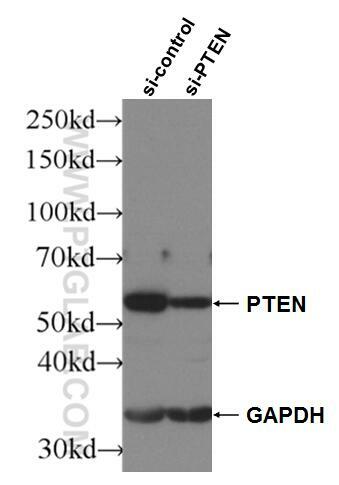 PTEN is a protein tyrosine phosphatase that may terminate the signaling transduction pathways mediated by PI 3-kinase/Akt. 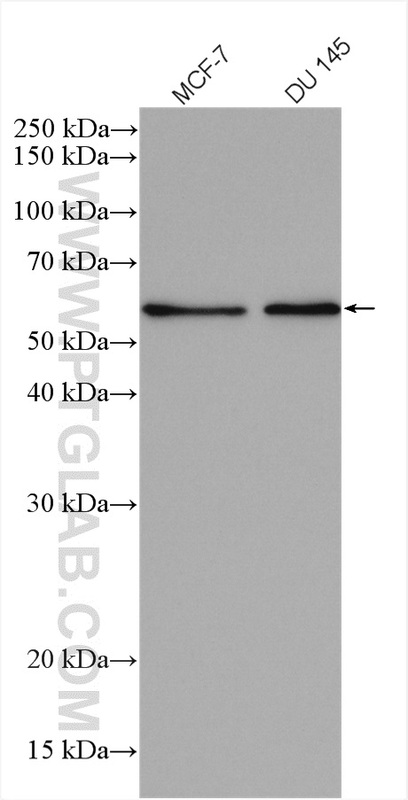 PTEN has an apparent molecular weight of 55 kDa and it is located in the cytosol. Predictive value of pAKT/PTEN expression in oral squamous cell carcinoma treated with cetuximab-based chemotherapy. Impairment of Akt activity by CYP2E1 mediated oxidative stress is involved in chronic ethanol-induced fatty liver.